Roaches are the most stubborn and annoying household pests. Once the cockroaches invade your home, they can multiply in large numbers, posing a threat to your health. Roaches are carriers of microbes which can result in food poisoning, diarrhea, allergies and skin rashes. They often hide in places like crevices, floor cracks and other areas that are difficult to reach. Due to their adaptable nature, cockroaches have developed resistance to chemicals used in pesticides. However, you can still rely on the age-old techniques to get rid of these unwanted guests. 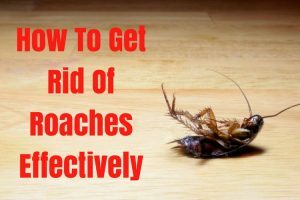 Though you cannot clear the roach infestation overnight, with proper domestic hygiene and regular follow-up of home remedies, you can see the results in few weeks. How to Get Rid of Roaches Using Home Remedies? Here are the most effective methods to remove the unwanted pesky insects from the home. Try any method for at least 3 – 4 weeks before drawing any conclusions. In this combination, we use sugar as a bait. Sugar attracts the cockroaches to eat the mixture. The borax will dehydrate the exoskeleton and damage their digestive system. This eventually kills the roaches. Combine equal amounts of borax and sugar. Apply the mixture on different areas in your home where you suspect a cockroach would hide or wander. Check on the areas you have applied the bait. Remove the dead roaches immediately and repeat the process again. Caution: borax is considered harmful to pets and children. 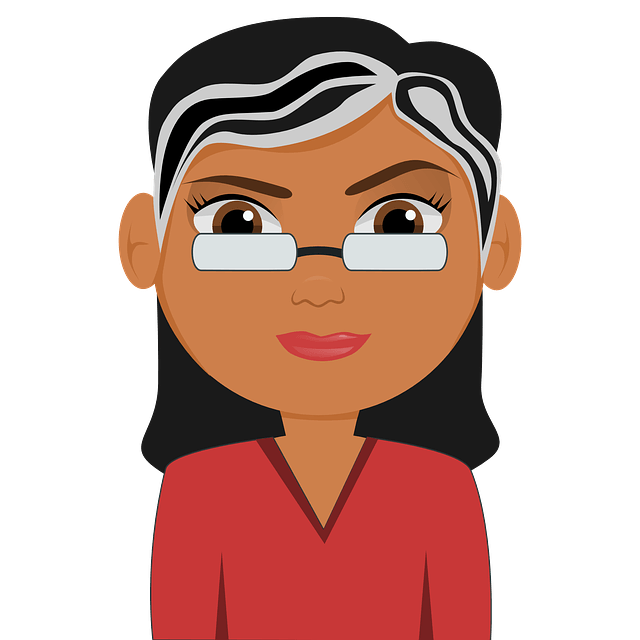 So, make sure to apply the mixture on higher grounds where pets and children cannot reach. Coffee grounds actually acts a bait as cockroaches like the smell of wet coffee grounds. We use water as medium to kill them. The water clogs the pores and makes it difficult to breath. Take 2 – 3 large glass jars and fill half of it with water. Take small cups and add wet coffee grounds into it. Place a cup of wet coffee grounds in each jar. Place the jars near the infested areas. Check on the jar daily. If you see roaches in it, dispose them immediately. Replace the water and wet coffee grounds in the jar and place it again to trap the roaches. Repeat the process for few days until you see no roaches trapped. Roaches breathe through the pores present in their abdominal body. Using fabric softener, we make it difficult for them to breathe which eventually kills them. Combine 3 parts fabric softener and 2 parts water. Whenever you see a cockroach, spray the mixture on it. Make sure the spray hits the lower mid region. Apart from that, you spray the solution in the sinks, behind the cupboards and in the crevices where you suspect a cockroach infestation. Whether this process actually works or not is quite debatable. Some find it most effective and some may not. This depends on the type of cockroach infested your place. It is said that when cucumber peels are placed in the aluminium can, it produces a distinctive stink which acts as a pesticide in killing the cockroaches. Place the cucumber peels in an aluminium can. Keep the can in a place where you suspect numerous cockroaches infesting. Wait for few days and check if you see any dead roaches. Repeat the process regularly until you don’t see any dead roaches. Just like borax and sugar bait, this method also works in the same way. Sugar attracts the roaches to consume the mixture. Baking soda will destroy the digestive arrangement of roaches which eventually leads to its death. Combine equal amounts of baking soda and sugar. Sprinkle the mixture in different areas where you suspect a cockroach infestation. Once your find a dead roach, dispose it immediately. Roaches hate the strong smell of bay leaves. This process helps to make a homemade roach repellent which wards them out of the house without killing them. Take handful of dry bay leaves. Blend them to make a fine powder. Sprinkle the powder near the nesting of roaches. The roaches will soon leave their nests. Repeat regularly until you don’t see any roaches strolling in your home. Due to the strong and sharp smell, ammonia acts as a repellent which makes the roaches leave your property. Using this process once in a while helps to prevent the roaches from invading your home. Add 2 cups of ammonia into a bucket of water. Wash the hard surfaces of your kitchen. This makes difficult for the roaches to stroll around the house. You can also pour the solution in the kitchen sink or in bathrooms. This helps to washes away the roaches living in the water pipes. Empty soda bottles are helpful in creating a DIY roach trap. Follow the below process to make a roach trap. Take an empty plastic soda bottle. Using a sharp knife, cut from the bending position of the bottle. Place the separated top of the bottle into the down part of the bottle. Make sure the bottle opening faces downwards. Apply the tape around the edge to hold it in a place. Combine soap and some water. Pour this solution into the bottle. Place the trap in the areas where you have seen roaches frequently. The roaches will crawl into the bottle. The solution will make them suffocate and eventually roaches die. After 1 – 2 days, replace the trap with a fresh one. Repeat the process until you don’t see any live roaches. Nepetalactone present in catnip acts as natural repellent. It is safe and non-toxic for humans and pets. Add 1 teaspoon of catnip to 2 cups of water. Strain and pour the solution into a spray bottle. Spray the solution behind the baseboards, counters, roaches nest and any other places where you have seen roaches frequently. Repeat the spraying daily. Once you see dead roaches, dispose them carefully. Alternatively, you can place catnip in areas of roach infestation. Caution: Though the herb is completely safe, it can make the cats go crazy for some time. If you have cats in your home, then avoid trying this process. Boric acids helps to get rid of roaches effectively. This is one of the toxic ways to deal with roaches infestation. So, be careful while performing this process. Sprinkle boric acid behind the kitchen cabinets, bathroom cabinets and other areas where you have seen roaches frequently. Roaches will carry the toxic boric acid to their nest. Being toxic, slowly it makes difficult for the roaches to breath. Eventually they will die. Repeat the application once in a week if you have mild infestation. For severe infestation, repeat the process 3 – 4 times in a week. Caution: Make sure to keep away the pets and kids from boric acid. After sprinkling the boric acid, make sure to wash your hands properly. It is quite debatable whether the smell or the ingredient that works in warding off the roaches from the home. But it is considered one of the best and safe ways to deal with the infestation problem. Combine 1 tablespoon of cayenne pepper, 1 garlic clove and 1 white onion. Blend the three ingredients to make a paste. Boil 4 cups of water. Once the water boils, add the paste to it. Stir well and let it boil for a minute. Spray the solution in the roach-infested areas. Repeat the spraying once in a day. Dispose the dead roaches as soon as possible. This process helps to trap the roaches as soon as they crawl on it. For people who don’t want to trap the roaches without them can follow this process. Place a high-quality bundling tape sticky side facing upwards on baseboards, behind cupboards, countertops or behind the cover. You can place glue boards meant for trapping mice instead of tape. Roaches are very active during night, so place the sheets before going to bed. Till the morning, the sheets will trap few roaches. Dispose the sheets carefully. Repeat the process daily until you don’t see any roaches in the house. Listerine is one of the effective and affordable ways to deal with roach infestation in the house. It acts as natural insect repellant. Combine equal amounts of water and Listerine. Add 2 drops of liquid soap into it and mix well. Spray the solution in the areas where you have seen the roaches frequently. The combination of pinesol and bleach has a strong smell. Roaches cannot tolerate this smell and leave the place as soon as possible. Follow this process on the roach nested areas. Combine 2 cup of Pinesol and 2 cups of bleach. Add some boiling water into it and mix well. Pour the solution in the roaches infested areas of the house. Keep the doors and windows open as the mixture has a very strong smell. Wait for 20 – 30 minutes and clean the place. Repeat the process whenever you see a roach infestation. This process is one of the effective ways to trap the roaches. We use food scraps as a bait to trap the roaches. Take a jar or bottle with wide mouth. Apply petroleum jelly on the inward edge of the jar. Place some peels of the fruits inside the bottle. Before going to bed, place the jar in the kitchen and bathrooms. These two are the important places where roaches infest. The smell of the fruit peel will attract roaches. Once the roaches enter the jar, due to petroleum jelly they will not be able to get out. In the morning, dispose the trapped roaches carefully. Mint oil is one of the safe, non-toxic methods to keep your house roaches free. This process will make a DIY roach spray which can be sprayed once in a while in your kitchen sinks and bathrooms where roaches are most likely to hide. Combine equal amounts of mint oil and water. Before going to bed, spray the solution in the kitchen sinks and bathroom. In the morning, dispose any dead roaches. To 2 – 3 cups of salt water, add 10 drops each of peppermint oil, cypress oil, tea tree oil and eucalyptus oil. Before going to bed, spray the solution in kitchen sinks and bathroom. Repeat this process regularly to keep away the roaches from entering your home. Place moth balls in your wardrobe, book shelves and kitchen cabinets. The smell of the moth balls keeps away the cockroaches from entering. Cedar can ward off any insects including roaches. Line up your cupboards with cedars to keep the unwanted pests away. The anti-pathogenic properties of lemon keep away the pests from entering the home. Add freshly-squeezed lemon juice into a bucket of water. Use this solution to mop the floors. Seal the cracks, creases, gaps present in the walls, cabinets and cupboards. Store your food in airtight contains. Keep the kitchen counter clean and sanitized. Empty the trash cans regularly. Use trash cans that contain lids. Fix all the leaking taps, tanks and pipes in your home. Maintain all the rooms of your home clean and dry. De-clutter all the storage spaces including drawers, closets and shelves. Get rid of the unwanted junk at the home. If you are unable to get rid of roaches even after trying the above-mentioned methods, then get professional’s help. If you have any other tricks to remove these pesky insects then let us know in the comment section below.